AnnapolisFBC October 28, 2018 - Brother Dan Pitchers from annapolisfbc.com on Vimeo. AnnapolisFBC October 21, 2018 - Brother Dan Pitchers from annapolisfbc.com on Vimeo. 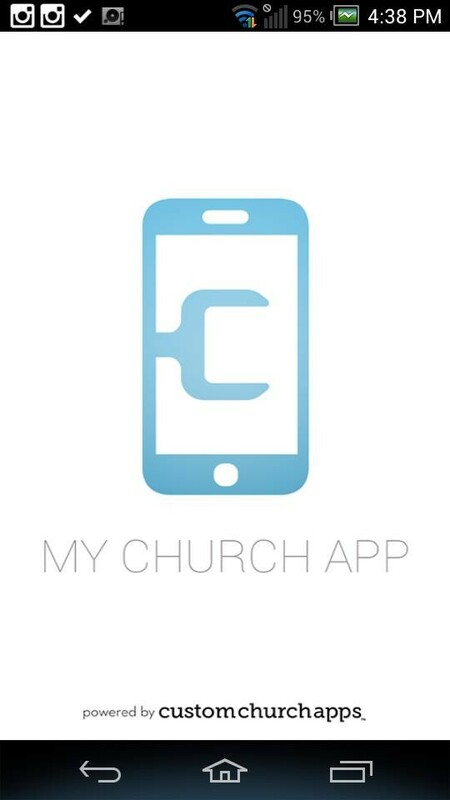 AnnapolisFBC October 16, 2018 - Pastor Chad Mathes from annapolisfbc.com on Vimeo. AnnapolisFBC October 15, 2018 - Pastor John Rhodes from annapolisfbc.com on Vimeo. 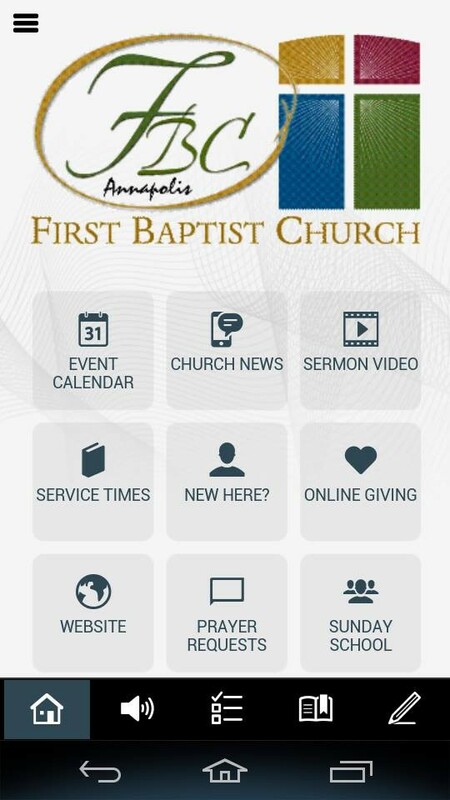 AnnapolisFBC October 14, 2018 - Pastor Frank Whitney2 from annapolisfbc.com on Vimeo. AnnapolisFBC October 14, 2018 - Pastor Frank Whitney from annapolisfbc.com on Vimeo. AnnapolisFBC September 30, 2018 - Brother Dan Pitchers from annapolisfbc.com on Vimeo. AnnapolisFBC September 16, 2018 - Brother Dan Pitchers from annapolisfbc.com on Vimeo. AnnapolisFBC September 9, 2018 - Brother Dan Pitchers from annapolisfbc.com on Vimeo. AnnapolisFBC September 2, 2018 - Brother Dan Pitchers from annapolisfbc.com on Vimeo. AnnapolisFBC August 26, 2018- Brother Dan Pitchers from annapolisfbc.com on Vimeo. AnnapolisFBC August 19, 2018- Brother Dan Pitchers from annapolisfbc.com on Vimeo. AnnapolisFBC August 5, 2018- Brother Dan Pitchers from annapolisfbc.com on Vimeo. AnnapolisFBC July 15, 2018- Brother Dan Pitchers from annapolisfbc.com on Vimeo. AnnapolisFBC July 22, 2018- Brother Dan Pitchers from annapolisfbc.com on Vimeo. AnnapolisFBC July 1, 2018- Brother Dan Pitchers from annapolisfbc.com on Vimeo. AnnapolisFBC June 24, 2018 - Brother Dan Pitchers from annapolisfbc.com on Vimeo. AnnapolisFBC June 17, 2018 - Brother Dan Pitchers from annapolisfbc.com on Vimeo. AnnapolisFBC June 10, 2018- Brother Dan Pitchers from annapolisfbc.com on Vimeo. AnnapolisFBC June 3, 2018 - Brother Dan Pitchers from annapolisfbc.com on Vimeo. AnnapolisFBC May 13, 2018 - Brother Dan Pitchers from annapolisfbc.com on Vimeo. AnnapolisFBC May 6, 2018 - Brother Dan Pitchers from annapolisfbc.com on Vimeo. AnnapolisFBC April 29, 2018- Brother Dan Pitchers from annapolisfbc.com on Vimeo. AnnapolisFBC April 22, 2018 - Brother Dan Pitchers from annapolisfbc.com on Vimeo. AnnapolisFBC April 15, 2018 - Brother Dan Pitchers from annapolisfbc.com on Vimeo. AnnapolisFBC April 8, 2018- Brother Dan Pitchers from annapolisfbc.com on Vimeo. AnnapolisFBC April 1, 2018, Easter - Brother Dan Pitchers from annapolisfbc.com on Vimeo. AnnapolisFBC March 25, 2018 - Brother Dan Pitchers from annapolisfbc.com on Vimeo. AnnapolisFBC March 18, 2018 - Brother Dan Pitchers from annapolisfbc.com on Vimeo. AnnapolisFBC March 11, 2018 - Brother Dan Pitchers from annapolisfbc.com on Vimeo. AnnapolisFBC March 4, 2018 - Brother Dan Pitchers from annapolisfbc.com on Vimeo. AnnapolisFBC February 25, 2018- Brother Dan Pitchers from annapolisfbc.com on Vimeo. AnnapolisFBC February 4, 2018 - Brother Dan Pitchers from annapolisfbc.com on Vimeo. AnnapolisFBC January 28, 2018 - Brother Dan Pitchers from annapolisfbc.com on Vimeo. AnnapolisFBC January 21, 2018 - Brother Dan Pitchers from annapolisfbc.com on Vimeo. AnnapolisFBC January 14, 2018 - Brother Dan Pitchers from annapolisfbc.com on Vimeo. AnnapolisFBC January 7, 2018 - Brother Dan Pitchers from annapolisfbc.com on Vimeo. AnnapolisFBC December 31, 2017 - Brother Dan Pitchers from annapolisfbc.com on Vimeo. AnnapolisFBC December 24, 2017 - Brother Dan Pitchers from annapolisfbc.com on Vimeo. AnnapolisFBC December 17, 2017 - Brother Dan Pitchers from annapolisfbc.com on Vimeo. AnnapolisFBC December 10, 2017 - Brother Dan Pitchers from annapolisfbc.com on Vimeo. AnnapolisFBC December 3, 2017 - Brother Dan Pitchers from annapolisfbc.com on Vimeo. AnnapolisFBC November 26, 2017 - Brother Dan Pitchers from annapolisfbc.com on Vimeo. AnnapolisFBC November 19, 2017 - Brother Dan Pitchers from annapolisfbc.com on Vimeo. AnnapolisFBC November 12, 2017 - Brother Dan Pitchers from annapolisfbc.com on Vimeo. AnnapolisFBC November 5, 2017 - Brother Dan Pitchers from annapolisfbc.com on Vimeo. AnnapolisFBC October 29, 2017 - Brother Dan Pitchers from annapolisfbc.com on Vimeo. AnnapolisFBC October 22, 2017 - Brother Dan Pitchers from annapolisfbc.com on Vimeo. AnnapolisFBC October 15, 2017 - Pastor Dan Pitchers from annapolisfbc.com on Vimeo. AnnapolisFBC October 8, 2017 - Guest Speaker Brady Rueter from annapolisfbc.com on Vimeo. AnnapolisFBC October 1, 2017 - Brother Dan Pitchers from annapolisfbc.com on Vimeo. AnnapolisFBC September 24, 2017 - Brother Dan Pitchers from annapolisfbc.com on Vimeo. AnnapolisFBC September 17, 2017 - Brother Dan Pitchers from annapolisfbc.com on Vimeo. AnnapolisFBC September 10, 2017 - Brother Dan Pitchers from annapolisfbc.com on Vimeo. AnnapolisFBC September 3, 2017 - Brother Dan Pitchers from annapolisfbc.com on Vimeo. AnnapolisFBC August 27, 2017 - Brother Dan Pitchers from annapolisfbc.com on Vimeo. AnnapolisFBC August 20, 2017 - Brother Dan Pitchers from annapolisfbc.com on Vimeo. AnnapolisFBC August 13, 2017 - Brother Dan Pitchers from annapolisfbc.com on Vimeo. AnnapolisFBC August 6, 2017 - Brother Dan Pitchers from annapolisfbc.com on Vimeo. AnnapolisFBC July 30, 2017 - Brother Dan Pitchers from annapolisfbc.com on Vimeo. AnnapolisFBC July 9, 2017 - Brother Dan Pitchers from annapolisfbc.com on Vimeo. AnnapolisFBC July 2, 2017 - Brother Dan Pitchers from annapolisfbc.com on Vimeo. AnnapolisFBC June 18, 2017 - Brother Dan Pitchers from annapolisfbc.com on Vimeo. AnnapolisFBC June 11, 2017 - Dave Pitchers from annapolisfbc.com on Vimeo. AnnapolisFBC June 4, 2017 - Brother Dan Pitchers from annapolisfbc.com on Vimeo. AnnapolisFBC May 28, 2017 - Brother Dan Pitchers from annapolisfbc.com on Vimeo. AnnapolisFBC May 21, 2017 - Brother Dan Pitchers from annapolisfbc.com on Vimeo. AnnapolisFBC May 14, 2017 - Brother Dan Pitchers from annapolisfbc.com on Vimeo. AnnapolisFBC May 7, 2017 - Brother Dan Pitchers from annapolisfbc.com on Vimeo. AnnapolisFBC April 23, 2017 - Brother Dan Pitchers from annapolisfbc.com on Vimeo. AnnapolisFBC April 16, 2017 - Brother Dan Pitchers from annapolisfbc.com on Vimeo. AnnapolisFBC April 9, 2017 - Brother Dan Pitchers from annapolisfbc.com on Vimeo. AnnapolisFBC April 2, 2017 - Brother Dan Pitchers from annapolisfbc.com on Vimeo. AnnapolisFBC March 26, 2017 - Brother Dan Pitchers from annapolisfbc.com on Vimeo. AnnapolisFBC March 19, 2017 - Brother Dan Pitchers from annapolisfbc.com on Vimeo. AnnapolisFBC March 12, 2017 - Brother Dan Pitchers from annapolisfbc.com on Vimeo. AnnapolisFBC March 5, 2017 - Brother Dan Pitchers from annapolisfbc.com on Vimeo. AnnapolisFBC February 26, 2017 - Brother Dan Pitchers from annapolisfbc.com on Vimeo. AnnapolisFBC February 12, 2017 - Brother Dan Pitchers from annapolisfbc.com on Vimeo. AnnapolisFBC February 5, 2017 - Brother Dan Pitchers from annapolisfbc.com on Vimeo. AnnapolisFBC January 29, 2017 - Brother Dan Pitchers from annapolisfbc.com on Vimeo. AnnapolisFBC January 22, 2017 - Brother Dan Pitchers from annapolisfbc.com on Vimeo. AnnapolisFBC January 15, 2017 - Brother Dan Pitchers from annapolisfbc.com on Vimeo. AnnapolisFBC January 8, 2017 - Brother Dan Pitchers from annapolisfbc.com on Vimeo. AnnapolisFBC January 1, 2017 - Brother Dan Pitchers from annapolisfbc.com on Vimeo. AnnapolisFBC December 25, 2016 - Brother Dan Pitchers from annapolisfbc.com on Vimeo. AnnapolisFBC December 18, 2016 - Brother Dan Pitchers from annapolisfbc.com on Vimeo. AnnapolisFBC December 11, 2016 - Brother Dan Pitchers from annapolisfbc.com on Vimeo. AnnapolisFBC December 4, 2016 - Brother Dan Pitchers from annapolisfbc.com on Vimeo. AnnapolisFBC November 13, 2016 - Brother Dan Pitchers from annapolisfbc.com on Vimeo. AnnapolisFBC November 6, 2016 - Brother Dan Pitchers from annapolisfbc.com on Vimeo. AnnapolisFBC October 30, 2016 - Brother Dan Pitchers from annapolisfbc.com on Vimeo. AnnapolisFBC October 23, 2016 - Brother Dan Pitchers from annapolisfbc.com on Vimeo. AnnapolisFBC October 16, 2016 - Brother Dan Pitchers from annapolisfbc.com on Vimeo. AnnapolisFBC October 9, 2016 - Brother Dan Pitchers from annapolisfbc.com on Vimeo. AnnapolisFBC October 2, 2016 - Brother Dan Pitchers from annapolisfbc.com on Vimeo. AnnapolisFBC September 25, 2016 - Brother Dan Pitchers from annapolisfbc.com on Vimeo. AnnapolisFBC September 18, 2016 - Brother Dan Pitchers from annapolisfbc.com on Vimeo. AnnapolisFBC September 11, 2016 - Brother Dan Pitchers from annapolisfbc.com on Vimeo. AnnapolisFBC September 4, 2016 - Brother Dan Pitchers from annapolisfbc.com on Vimeo. AnnapolisFBC August 28, 2016 - Brother Dan Pitchers from annapolisfbc.com on Vimeo. AnnapolisFBC August 21, 2016 - Brother Dan Pitchers from annapolisfbc.com on Vimeo. AnnapolisFBC August 14, 2016 - Brother Dan Pitchers from annapolisfbc.com on Vimeo. AnnapolisFBC August 7, 2016 - Brother Dan Pitchers from annapolisfbc.com on Vimeo. AnnapolisFBC July 31, 2016 - Brother Dan Pitchers from annapolisfbc.com on Vimeo. AnnapolisFBC July 17, 2016 - Brother Dan Pitchers from annapolisfbc.com on Vimeo. AnnapolisFBC July 10, 2016 - Brother Dan Pitchers from annapolisfbc.com on Vimeo. AnnapolisFBC July 3, 2016 - Brother Dan Pitchers from annapolisfbc.com on Vimeo. AnnapolisFBC June 26, 2016 - Brother Dan Pitchers from annapolisfbc.com on Vimeo. AnnapolisFBC June 19, 2016 - Brother Dan Pitchers from annapolisfbc.com on Vimeo. AnnapolisFBC June 12, 2016 - Brother Dan Pitchers from annapolisfbc.com on Vimeo. AnnapolisFBC June 5, 2016 - Brother Dan Pitchers from annapolisfbc.com on Vimeo. AnnapolisFBC May 22, 2016 - Brother Dan Pitchers from annapolisfbc.com on Vimeo. AnnapolisFBC May 15, 2016 - Brother Dan Pitchers from annapolisfbc.com on Vimeo. AnnapolisFBC May 8, 2016 - Brother Dan Pitchers from annapolisfbc.com on Vimeo. AnnapolisFBC May 1, 2016 - Brother Dan Pitchers from annapolisfbc.com on Vimeo. AnnapolisFBC April 24, 2016 - Brother Dan Pitchers from annapolisfbc.com on Vimeo. AnnapolisFBC April 17, 2016 - Revival with Garry Winstead from annapolisfbc.com on Vimeo. AnnapolisFBC April 10, 2016 - Brother Dave Pitchers from annapolisfbc.com on Vimeo. AnnapolisFBC April 3, 2016 - Brother Dan Pitchers from annapolisfbc.com on Vimeo. AnnapolisFBC, Easter, March 27, 2016 - Brother Dan Pitchers from annapolisfbc.com on Vimeo. AnnapolisFBC March 20, 2016 - Brother Dan Pitchers from annapolisfbc.com on Vimeo. AnnapolisFBC March 13, 2016 - Brother Dan Pitchers from annapolisfbc.com on Vimeo. AnnapolisFBC March 6, 2016 - Brother Dan Pitchers from annapolisfbc.com on Vimeo. AnnapolisFBC February 28, 2016 - Brother Dan Pitchers from annapolisfbc.com on Vimeo. AnnapolisFBC February 21, 2016 - Brother Dan Pitchers from annapolisfbc.com on Vimeo. AnnapolisFBC February 7, 2016 - Brother Dan Pitchers from annapolisfbc.com on Vimeo. AnnapolisFBC January 31, 2016 - Brother Dan Pitchers from annapolisfbc.com on Vimeo. AnnapolisFBC January 24, 2016 - Brother Dan Pitchers from annapolisfbc.com on Vimeo. AnnapolisFBC January 17, 2016 - Brother Dan Pitchers from annapolisfbc.com on Vimeo. AnnapolisFBC January 10, 2016 - Brother Dan Pitchers from annapolisfbc.com on Vimeo. AnnapolisFBC January 3, 2016 - Brother Dan Pitchers from annapolisfbc.com on Vimeo. AnnapolisFBC December 27, 2015 - Brother Dan Pitchers from annapolisfbc.com on Vimeo. AnnapolisFBC December 20, 2015 - Brother Dan Pitchers from annapolisfbc.com on Vimeo. AnnapolisFBC December 13, 2015 - Brother Dan Pitchers from annapolisfbc.com on Vimeo. AnnapolisFBC December 6, 2015 - Brother Dan Pitchers from annapolisfbc.com on Vimeo. AnnapolisFBC November 29, 2015 - Brother Dan Pitchers from annapolisfbc.com on Vimeo. AnnapolisFBC November 22, 2015 - Brother Dan Pitchers from annapolisfbc.com on Vimeo. AnnapolisFBC November 15, 2015 - Brother Dan Pitchers from annapolisfbc.com on Vimeo. AnnapolisFBC November 8, 2015 - Brother Dan Pitchers.mp4 from annapolisfbc.com on Vimeo. AnnapolisFBC November 1, 2015 - Brother Dan Pitchers from annapolisfbc.com on Vimeo. AnnapolisFBC October 25, 2015 - Brother Dan Pitchers from annapolisfbc.com on Vimeo. AnnapolisFBC October 18, 2015 - Brother Dan Pitchers from annapolisfbc.com on Vimeo. AnnapolisFBC October 11, 2015 - Brother Dan Pitchers from annapolisfbc.com on Vimeo. AnnapolisFBC October 4, 2015 - Brother Dave Pitchers from annapolisfbc.com on Vimeo. AnnapolisFBC September 27, 2015 - Pastor Dan Pitchers from annapolisfbc.com on Vimeo. AnnapolisFBC September 20, 2015 - Pastor Dan Pitchers from annapolisfbc.com on Vimeo.